We list down the best DevOps consulting service providers. If you are on a hunt for top DevOps consultants, BDCC Global is the right place. Accenture looks to optimize organizational success by offering industry-specific strategic recommendations while taking into consideration the nuances of the digital economy and future technological trends. 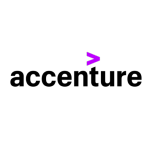 Accenture Strategy has offerings in digital technologies, IT, security, mergers and acquisitions, operations, services, sustainability, and talent and organization. Sogeti is the Technology and Engineering Services Division of Capgemini. The Sogeti Group is an information technology consulting company specializing in local professional services, with headquarters in Paris, employing around 25,000 people at around 300 branches in 15 countries. CA Technologies, formerly known as Computer Associates International, Inc. and CA, Inc., is a multinational corporation headquartered in New York City. 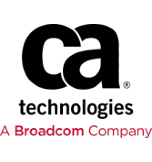 Since November 5, 2018, the company has been a subsidiary of Broadcom Inc. CA is ranked as one of the largest independent software corporations in the world. The Pythian Group, Inc., commonly known as Pythian, is a Canadian multinational corporation that provides data and cloud-related services. The company provides services for Oracle, SQL Server, MySQL, Hadoop, Cassandra and other databases and their supporting infrastructure. A globally recognized IT service provider, Algoworks is one of the best DevOps consulting companies. Their main DevOps service offerings are DevOps implementation, DevOps customization, continuous integration and delivery, designing and deploying environments stack on various cloud platforms, etc. They are well-known for deploying robust automated solutions that acknowledge challenges around agility and speed. Eficode is a software and technology company that helps its clients succeed in software production and continuous delivery. Their roots are in the Nordic region and they have offices in Germany, the Netherlands, Finland, Sweden, and Denmark. Contino is a global technical consultancy who specialize in helping highly-regulated enterprises transform faster, modernizing their way of working. Founded in 2014 by Matt Farmer and Benjamin Wootton, they have now grown to over 270 people worldwide, with offices in London, New York, Atlanta, Sydney and Melbourne. A Product Engineering and Technology Services company provides Digital enterprise services and solutions with DevOps, Big Data Engineering, Data Analytics, Cloud Migration, Machine learning and Data Science. Xenonstack provides Cloud Consulting, Cloud Migration with AWS, Google Cloud and Azure Cloud Competency. 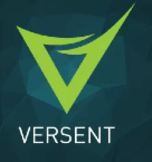 Versent is an Australia based firm, founded in 2014, providing Security, DevOps, API, Cloud and Bigdata related services to it’s clients. 11. Cloud Technology Partners, Inc. 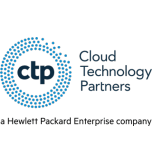 Cloud Technology Partners (CTP), a Hewlett Packard Enterprise company, is the premier cloud services and software company for enterprises moving to AWS, Google, Microsoft and other leading cloud platforms. Congruent, a Microsoft gold certified partner is a Global IT Services company which specializes in providing outsourced software development and systems integration services to ISVs and Fortune 500 companies alike. Veritis is a global Information Technology (IT) services provider focused on delivering high value to clients through integrated solutions. The major service lines that Veritis focus on are DevOps Services, Cloud Services, IT Infrastructure Services and Virtualization Services. 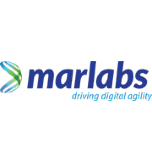 ECS Digital Limited is an experienced Digital Transformation consultancy helping it’s clients to deliver better products faster through the adoption of DevOps practices. 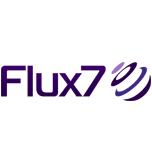 Flux7 are DevOps experts helping businesses to create modern IT systems and workflows that bring their ideas to life. they provide fast value by focusing on shortening time to market, creating stable, secure systems and increasing the efficiency of technology service delivery. Shippable helps you automate CI/CD and DevOps activities and create streamlined workflows across teams and tools. they started as a hosted CI service in 2013, but have since evolved our platform to support a holistic set of DevOps workflows across all teams involved in shipping software, such as Dev, Test, Ops, DevOps, SecOps, etc. 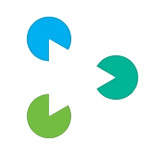 Praqma are experts in Continuous Delivery – the art of delivering software quickly, safely, and sustainably. For over a decade, Praqma has been helping companies, large and small, to deliver changes at a rate the market demands. We help them adopt DevOps, and automate their builds and tests to set up their ultimate Continuous Delivery pipeline. All this through strategic advice, coaching, implementation, as well as training and operations support. Squadex is a technology consulting company that provides software delivery automation, enabling clients to accelerate their growth through DevOps practices. They help in optimizing development and delivery pipelines. Their solutions remove the boundaries between companies in the enterprise which leads to an enhanced time-to-market delivery. 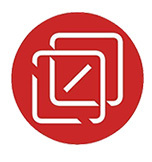 Previously ControlTier Software, Inc, DTO Solutions is a consulting group that takes a structured approach to helping your team root out bottlenecks, inefficiencies, and unreliability across your application lifecycle — from Development To Operations.